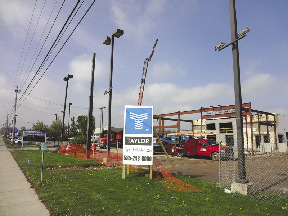 Taylor, a leading regional commercial and industrial General Contractor, has been awarded the contract for construction and renovation of Dorschel Automotive Group's new Mini of Rochester dealership. Taylor partnered with T.Y. Lin International Group for final facility design of the 3,000 s/f addition and 10,000 s/f renovation at 3875 West Henrietta Rd. Construction work is currently underway, with a project completion date slated for June. "Dorschel Automotive Group is demonstrating their commitment to the Rochester community by expanding the selection of vehicles in our market," said Taylor CEO, Jim Taylor. "We are proud to maintain our relationship with Dorschel, and are excited to once again collaborate on another exciting project." 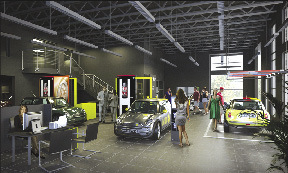 Taylor's relationship with Dorschel Automotive Group dates back to 1984, having completed numerous renovations and additions all over Rochester at such dealership locations as Buick/Toyota, Infiniti, Kia, Lexus, Oldsmobile, Dorschel Resale Center, and Dorschel Used Car Center. 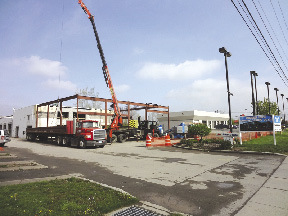 When Dorschel's new MINI dealership and service center opens in June, it will be one of only nine in the state and the only one between the Buffalo and Albany areas. Dorschel Automotive Group consists of 12 dealerships serving the Rochester area's auto needs, with a wide selection of vehicles ranging from MINI, Lexus, Saab, Fisker, Volkswagen, Nissan, Kia, Infiniti, Toyota, and Scion. For over half a century Dorschel has used their commitment to quality to help customers find the car that's right for them. Taylor is a second-generation General Contractor with over 40 years of experience in the design and construction of office, commercial, industrial and institutional buildings. Having successfully completed hundreds of projects, Taylor has the resources to deliver enhanced execution on all phases of client projects from the ground up.